Grew up with BC Drazen Petrovic (Croatia) youth teams. Signed for the 2009-10 season by KK Zrinjevac Zagreb. On December'09 signed by KK Zagreb. During the 2010-11 season, also played with Dubrava Zagreb. Back to KK Zagreb for the 2011-12 season. 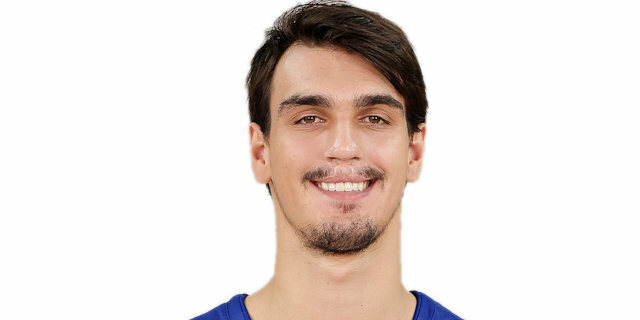 Signed for the 2012-13 season by Cibona Zagreb. Named the 2014-15 EuroLeague November MVP. Won the 2011 Euroleague Basketball Adidas Next Generation Tournament with KK Zagreb. Named the 2011 Euroleague Basketball Adidas Next Generation Tournament MVP. Has been member of the Croatian U-16, U-18 and U-19 National Team. Won the gold medal at the 2010 European U-16 Championship. Played at the 2011 and 2013 World U-19 Championship.